Get this Bella 2-Tier Food Steamer on sale for $17.99 (Retail $44.99). 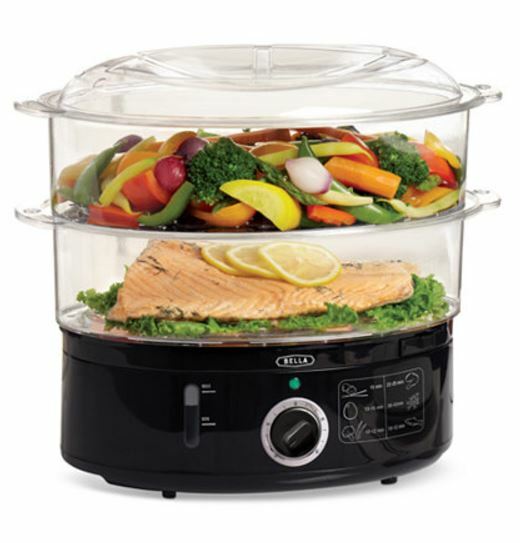 -Get dinner ready faster with this Bella two-tier food steamer. The basket has a 7-liter capacity that allows for multiple dishes at once, or use just one level for steaming smaller amounts. Model 13875. Check out more hot daily deals on Small Kitchen Appliances HERE.